Author Rick Reilly claims President Donald Trump learned to cheat at golf from hustlers on a tough Philadelphia municipal course and once he got started he never looked back. 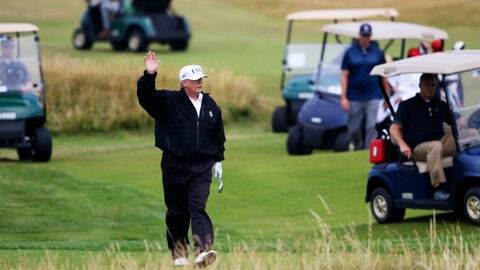 Reilly, author of “Commander in Cheat: How Golf Explains Trump,” tells PodcastOne Sports Now co-hosts Jim Litke and Tim Dahlberg that the president not only cheats at golf but boasts of championships he never won. Also on the show, a review of the men’s and women’s NCAA title games and a Masters preview with Associated Press golf writer Doug Ferguson. On the menu: I’ll have one of everything.